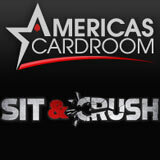 Americas Cardroom have added an interesting new SNG game concept in their new Sit & Crush promotion. Sit n Go poker players can now compete for a progressive jackpot prize at no expense to the player, a percentage of the tournament fees for each game will be added to the growing jackpot. Players must earn points to rank in the leaderboards and win a share of the monthly accumulated Sit & Crush jackpot prize. 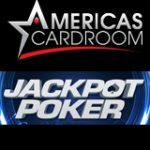 Americas Cardroom Freerolls on Demand is also a unique concept where players can enjoy a free poker tournament as soon as there are enough players registered for the event. 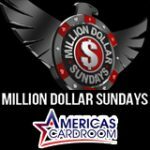 Americas Cardroom accepts USA poker players and players from around the world, the online poker site offers decent cashout times when compares to other US poker sites. This promotion is for all poker players who love SNG games, win extra cash and tournament tickets by playing eligible Sit & Crush tournaments on Americas Cardroom. 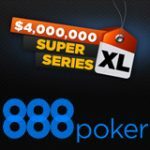 The prizes will be generated at the expense of the poker site with a percentage of the tournament fees contributing to the leaderboard prize pool. 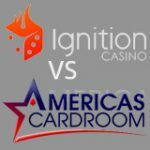 The tournament fee is the amount which the poker site normally deducts as a fee for playing the game, Americas Cardroom will donate a percentage of their tournament fee to the monthly players prize pool. Players earn points playing SNG poker games, earn more points by registering early for any On Demand tournaments. Sit n Go games award 5 leaderboard points for every $1 contributed to the jackpot. Register before any tournaments on demand starts and get 4 times more points than normal. 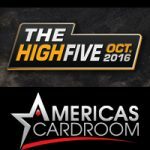 The cash races pays out cash prizes to players in ranking positions and the tournament race offers tournament tickets to a variety of tournaments on Americas Cardroom including satellites to the LSOP or Punta Cana Poker Classic. 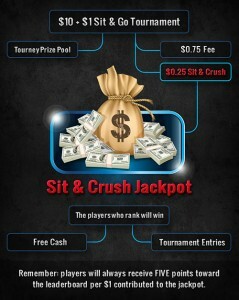 Prizes will increase based on players participation in the Sit & Crush promotion, play more games to rank in the leaderboard and increase the prizes at the same time. Leaderboards will run from the first to the last day of every month by participating players will rank in both leaderboards to win cash and tournament tickets. Prizes are paid out on the 5th day of each new month, winners of tournament tickets will be registered automatically for the events which they must play. Like most progressive jackpots 25% of the total prize pool will be used to reseed the following months Sit & Crush promotion.